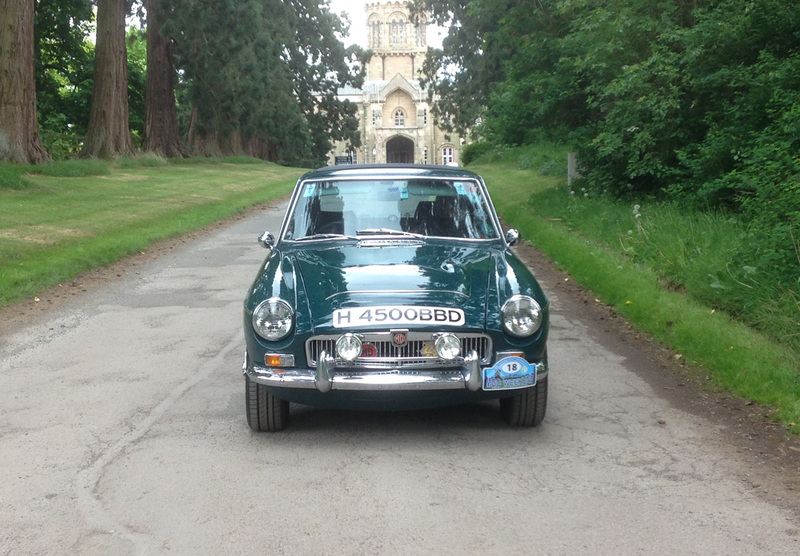 Following attendance at this year’s MGC Weekend at Studley Castle (MG Car Club) – see photo on the driveway – and having learned a lot from knowledgeable fellow owners, I thought it appropriate to share some information. I have been a C owner since 1979 and have owned my current car (a GT) since 1982 so we have a good history together. I live in Spain and the car was instrumental in those early years (from summer of ’82) when I first set about moving down here. It did several trans-European trips UK-Switzerland-Spain (as my wife to be was living and working in Switzerland in those times). All of these were accomplished in grand style and given that on all trips the car was loaded to the gunwhales, it never missed a beat or let us down in any way. This year we took the car upto England to attend the MGC weekend where – not surprisingly – we won the award for ‘Farthest Travelled’. 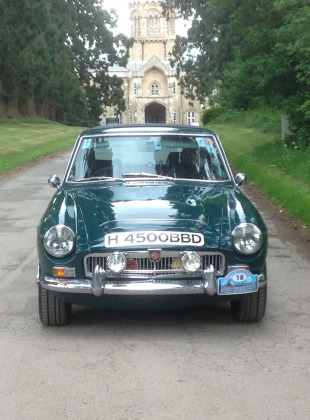 Following the event (last weekend), the car will remain in England for a while to take up opportunity for a check over by top drawer motor engineers and also to attend one or two other events or gatherings. My UK base is in Berkshire. Stage 2 head with special valves, guides etc & 3 carb conversion (Downton no 45 type) with twin s/s Downton type exhaust. (Beech Hill Garage 1995). I fitted Spax telescopics at the rear not long after I obtained the car (brought from a chap in Dartford, Kent in May 1982). Also during these early days of ownership the car was stolen by a gang of hoods and used to pull a job in the West End. Fortunately the car was recovered (full of trinkets and empty jewel boxes) and we now enjoy the reputation of having a police record! A couple of years ago I registered the car on the Historic Vehicle Register of Spain which allows special terms for insurance, exemption from road taxes and other advantages.